A Global Sensation - Heard and Viewed in Over 100 Countries! "Steve Maraboli is powerful and passionate. His heartfelt and inspiring program will touch the very core of your spirit." "Simply remarkable! Steve Maraboli shares potent strategies and breakthrough philosophies that will undoubtedly boost all aspects of your life." "Steve takes you from just existing to truly living!" "His coaching programs and strategies are effective on many levels. 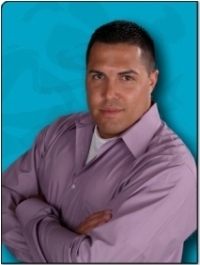 Steve Maraboli is the real Millionaire Mentor!" "Steve, what you see in others is seen in you. You are a good man." "Steve Maraboli is the real thing! If you want down to Earth, practical advice and discussion about how to energize and enlighten your life, check out Steve's show."